Congress on Tuesday condenmed the detention of former Union Minister and senior BJP leader Yashwant Sinha by police in BJP-led Maharashtra. NEW DELHI: The Congress on Tuesday condenmed the detention of former Union Minister and senior BJP leader Yashwant Sinha by police in BJP-led Maharashtra while terming the state government's loan waiver "a cruel joke" on the lakhs of farmers there. "Even as 35 farmers commit suicide daily in the country, the BJP-ruled Maharashtra government has played a cruel joke on the lakhs of farmers of the state. 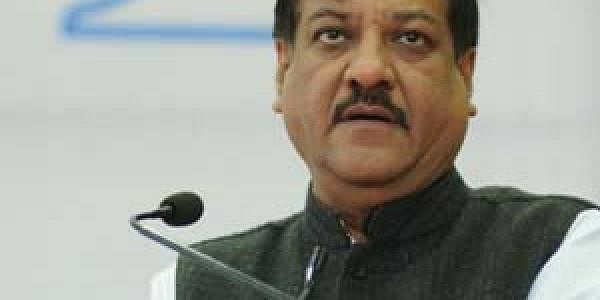 "The fascist shades of the BJP have come to the fore yesterday (Monday) in Maharashtra, where senior BJP leader Yashwant Sinha was detained by the Maharashtra Police in Akola, along with 250 farmers," said former Maharashtra Chief Minister and Congress leader Prithviraj Chavan. "Their only crime was that they were protesting against the insensitive policies of the BJP government, which have severely affected the cotton farmers of Vidarbha," he added. "We strongly condemn such actions by the state government, who in its hunger of power, is playing with the rights of the farmers." Sinha has said his protest was purely for the rights of farmers and there was no political meaning to it.